The Stainless Steel Gear Pumps has an external gear that is generally used to drive the internal gear. 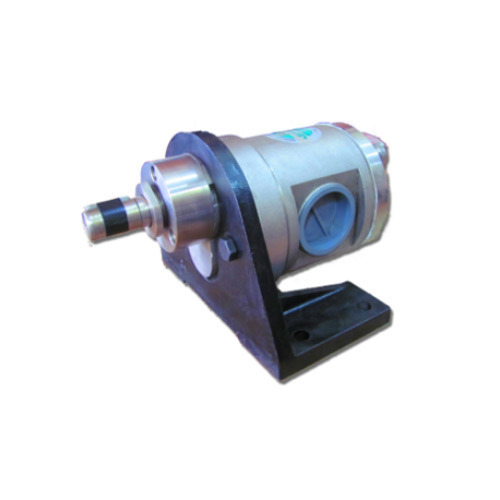 The Stainless Steel Gear Pump, which is smaller than the external gear rotates on a pin and operates inside the external gear. The Stainless Steel Gear Pump are available in various sizes and are equiped to deliver medium capacities at higher pressure. Known for the purpose of manufacturing and supplying a wide range of optimum quality Industrial Pumps, Setu Industries started it operation in the year 2002. The product range offered by us is inclusive of Mud Sewage Pumps, Stainless Steel Pumps and Rotary Gear Pumps SIG Series. Known for their sturdy construction, seamless finish, resistance to corrosion and ability to withstand high pressure & temperature, these industrial pumps are highly demanded in engineering, hydraulic, steel, chemical, petrochemical, oil refineries and other allied industries. With the aid of our large production capacity and capacious warehousing unit, we have been able to meet the bulk orders in the most efficient manner. In a zest to attain maximum customer satisfaction, we follow total transparency in all the business dealings. Customized solutions and multiple modes of payment are offered, keeping the ease of our customers in mind. For the purpose of manufacturing the offered range of industrial pumps as per the industry set norms and regulations, the latest machinery are used by our technicians and engineers.